Robert S. Langer – Graduate of Cornell, 1970, and ScD from MIT, Chemical Engineering, 1974 – was invited by the Chemistry Graduate Student Association (GSA) of Rutgers University as the Annual GSA Lecturer to speak on February 3, 2009. Learning that such an esteemed scientist would be at Rutgers, the NJ-ACS decided to partner with the GSA and award Dr. Langer with the prestigious Cecil Brown Lectureship, which was established by the NJ-ACS in 1969. This bridging of distinguished chemists with local Universities includes 7 Nobel Laureates and other prestigious figures in the field of chemistry. Together, the Chemistry GSA and the NJ-ACS put on a truly amazing day, capped by a riveting lecture by Dr. Robert Langer. 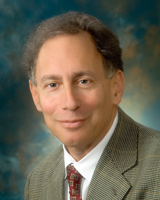 Dr. Robert Langer who holds multiple commendations that line walls in the field including 600 patents issued and other inventions pending that have changed the history of medicine include such topics: Drug Delivery Systems, Tissue Engineering, Stem Cell Research, Biomaterials and Angiogenesis Inhibition. Dr. Langer noted his work with the Institute of Medicine and the NIH (National Institutes of Health) as he began his talk. As Dr. Robert Langer opened onto the floor, he began to speak of his nonconventional career path after graduation. With many anecdotal stories of perseverance that brought such laughter, he researched and explored many avenues before finding the cause that would make him a pioneer in industry. Instead of choosing the Petroleum Industry, Dr. Langer chose a post-doctorial position with cancer surgery research with Judah Folkman. Dr. Langer spoke of childhood fears of public speaking, which we could all relate to, and of his difficulties that he first encountered being a pioneer in industry in which he presented ground breaking concepts that industry leaders simply shunned at the time. When Dr. Langer spoke with particular respect to angiogenesis inhibition and drug delivery relating to tumor growth, he spoke of how, at the time, industry leaders simply told him that it could never be done. However, with Dr. Langer’s perseverance and time, this became the forefront of industry. Dr. Langer moved forward in conversation and then spoke about drug delivery systems that could disperse large molecule medications through “chips” or “wafers” designed to be implanted into the brain or other parts of the body. This invention would dispense the therapeutic locally to a specific site, causing no harm to surrounding areas. This approach was then explored for use for many other applications: multiple therapeutic categories with cancer, diabetes, etc. The idea of therapeutics having a dissolution time that would dispense medication in a sustained manner through the use of polymers was further developed through clinical use for different applications. Dr. Langer also spoke of methods to perform internal stitching using shape-memory polymers, utilizing body temperature to control them to close and coil much like polymers used for vascular stents. It was important for Dr. Langer to note that many materials used in early biomaterials for medical devices stemmed from doctors in the medical field using traditional methodologies. He gave several examples of this including the artificial heart, which came from the concept of a woman’s girdle. Dr. Langer’s most important comment about the evolution of these biomaterials was the collaborative efforts between the polymer scientists and medical doctors. Dr. Langer moved on through time as he began to speak about tissue engineering to create liver, skin, nerves, blood vessels, and cartilage. He cited many case studies about using biodegradable polymers that would biodegrade over time as cells were able to create new tissue or organs on scaffolds. The use of stem cells or other cells make this possible. Dr. Langer showed several studies in which they grew an ear on a rabbit, grew a human nose, new skin tissue, and cartilage pieces on mice. However, he noted that the materials still do not have the physical endurance of a knee, but that may not be far off in the future. He showed real case studies of burn victim whose skin was replaced as well as a child born without breastbones that they were also able to replace. Dr. Langer’s devotion to the field to eradicate disease by leveraging his abilities is simply remarkable, and exists over several decades of time. Colleagues mostly enjoyed Dr. Robert Langer’s witty repertoire combined with serious intellectual concepts that evolved over time within the field. A combination of profound intellect with such a personable nature is truly uncharacteristic of what many would depict of such an intellectual mind. Many left with a better understanding of the field and an extremely light heart. When asked what his most important or proudest accomplishments were to date, Dr. Langer noted throughout his lecture many of his graduate students and their thesis projects that assisted in forging these advancements. Dr. Langer spoke of how his students had gone on to become President’s of many prestigious companies in the field, 150-200 have earned top positions in industry and about 190 have became professors at top institutions.